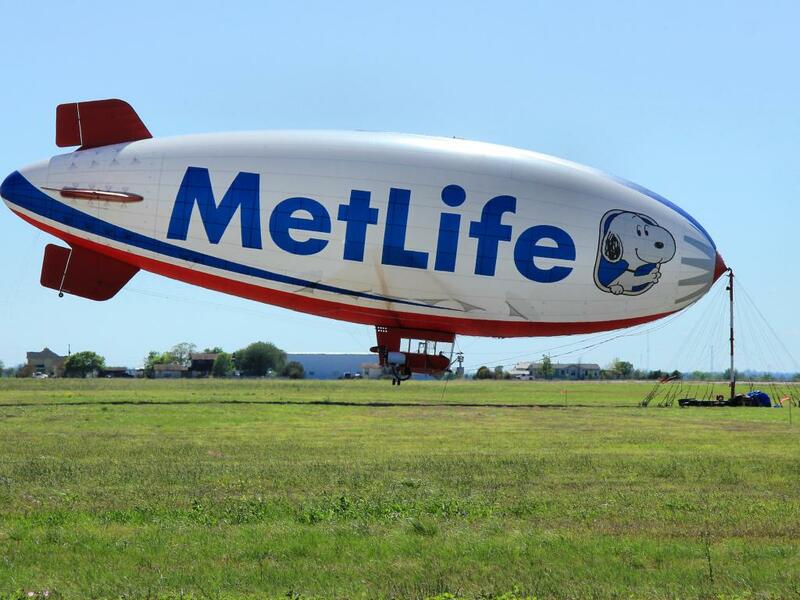 When it comes to the life insurance sector, there’s Metlife Inc (NYSE: MET) and Prudential Financial Inc (NYSE: PRU), and there's everyone else. 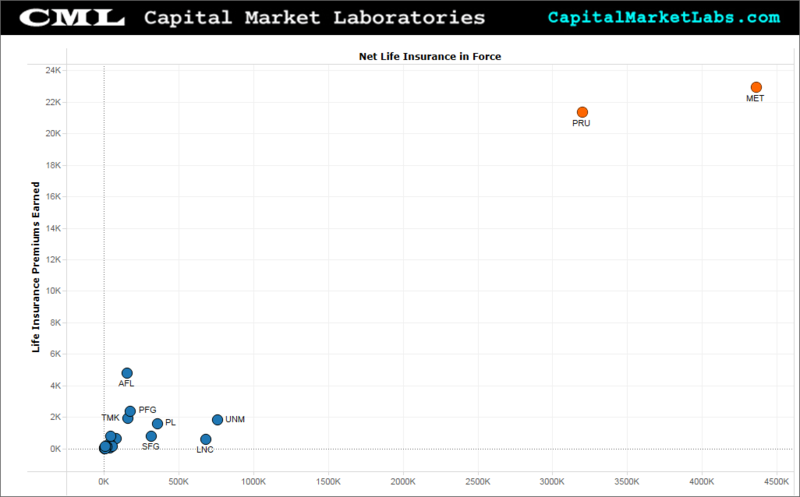 Below, life insurance in force is plotted on the x-axis with premiums earned on the y-axis. Most life insurance companies follow an investment strategy heavily tilted towards corporate debt (shown here on the y-axis) over corporate equity (plotted on the x-axis), with one glaring exception -- Power Financial Corp (TSE: PWF). 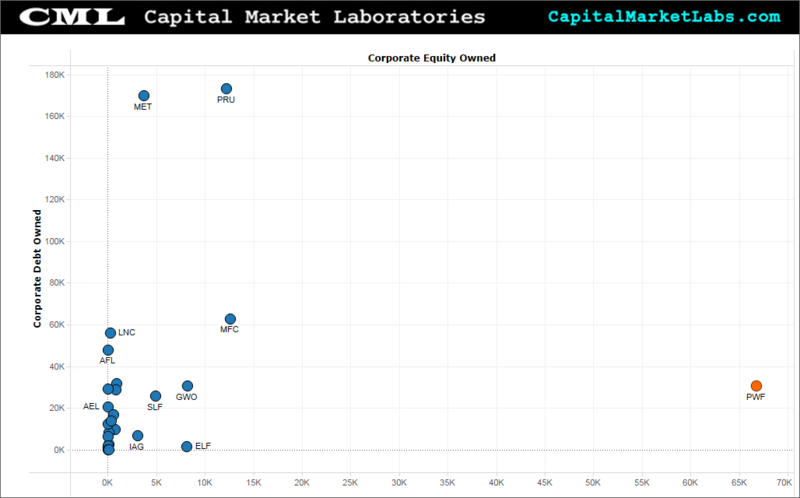 It has over twice as much corporate equity as debt. 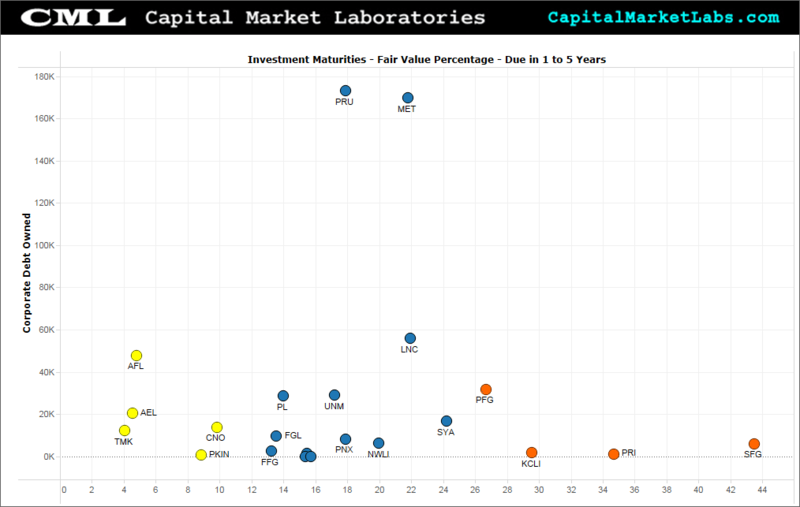 Looking at investment maturities, meanwhile, reveals different strategic groups within the sector. 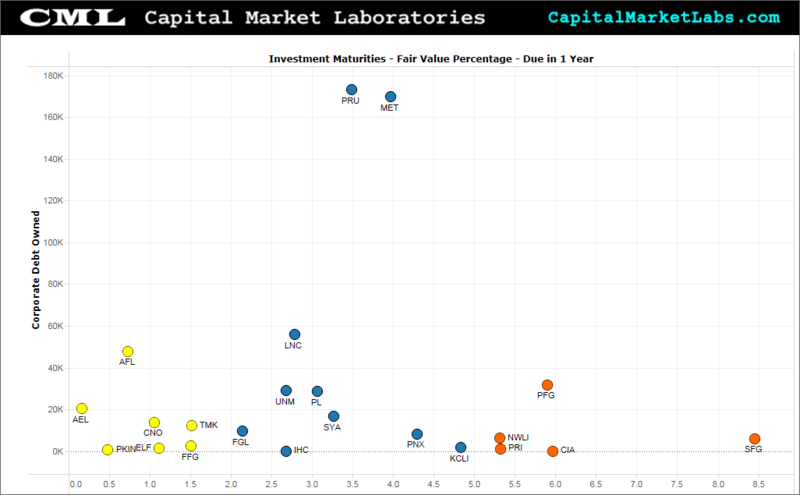 Let’s plot corporate debt owned on the y-axis and the percentage of investments maturing in one year on the x-axis. 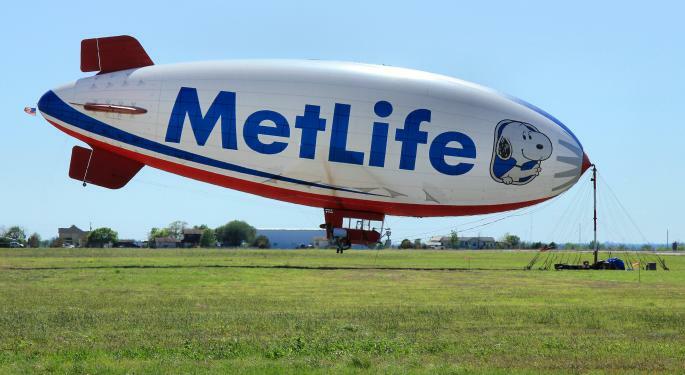 StanCorp Financial Group, Inc. (NYSE: SFG), Principal Financial Group Inc (NYSE: PFG), Citizens, Inc. (NYSE: CIA), National Western Life Insurance Company (NASDAQ: NWLI) and Primerica, Inc. (NYSE: PRI) have the highest percentage of investments maturing within one year. Companies like American Equity Investment Life Holding (NYSE: AEL), AFLAC Incorporated (NYSE: AFL), PEKIN LIFE INS CO (OTC: PKIN), E-L Financial Corporation Limited (TSE:ELF), CNO Financial Group Inc (NYSE: CNO), FBL Financial Group (NYSE: FFG) and Torchmark Corporation (NYSE: TMK) eschew investments maturing within one year. Looking further out to the one-to-five year time horizon (keeping corpoate debt owned on the y-axis and the percentage of investments maturing in one-to-five years on the x-axis), very little changes. 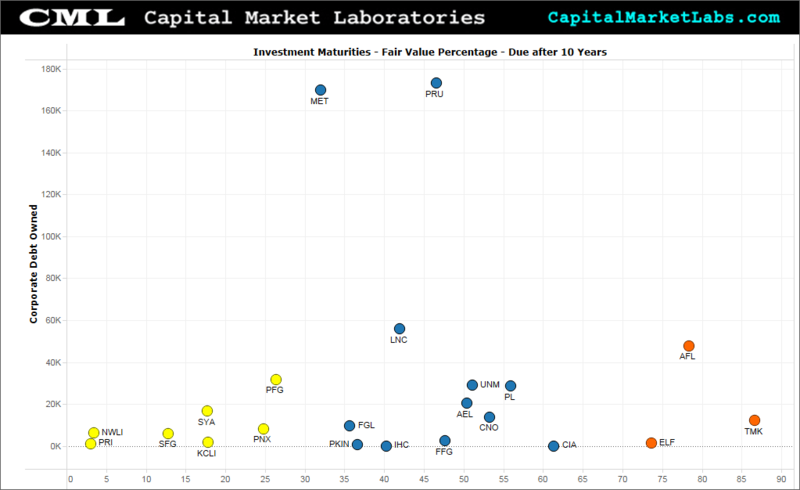 Aflac, American Equity, Torchmark, CNO Financial and Pekin Life are allocating the least to this time horizon, just like they did for the less-than-one-year time frame. Principal Financial, Primerica and StanCorp Financial once again are among the companies with the largest allocation to this time horizon. Now, let’s look further out to the five-to-ten year time frame. Again, let's plot corporate debt owned on the y-axis and the percentage of investments maturing in five to ten years on the x-axis. The cast of characters is very familiar: Torchmark, E-L Financial, CNO Financial and FBL Financial have the smallest allocations, while National Western, SFG, Primerica, Symetra Financial Corporation (NYSE: SYA), Independence Holding Company (NYSE: IHC) and Kansas City Life Insurance Co (NASDAQ: KCLI) have the largest allocations. Finally, let’s look at the longest time horizon: over ten years. The percentage of investments maturing after ten years is plotted on the x-axis and corporate debt owned is plotted on the y-axis. Here, as might be expected, things are inverted. E-L Financial, Aflac and Torchmark have the largest allocations, while National Western, Primerica, StanCorp, Symetra, Kansas City Life, Principal Financial and The Phoenix Companies, Inc. (NYSE: PNX) have the smallest allocations. 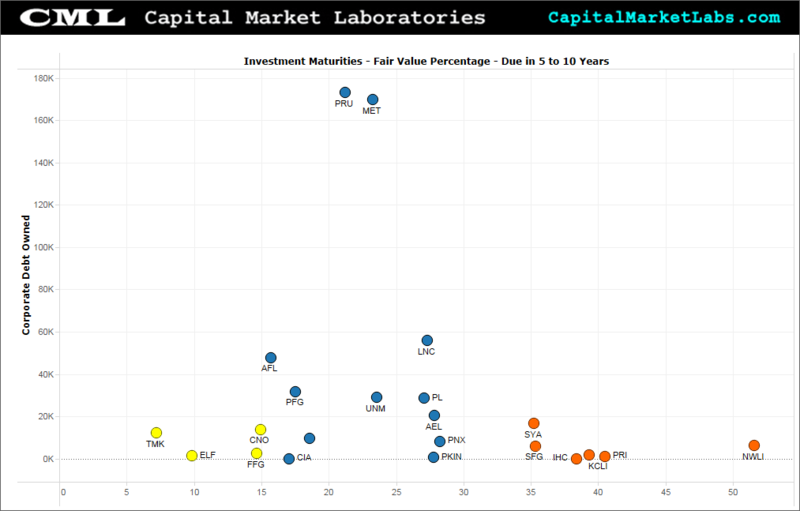 Clearly, companies like E-L Financial, Torchmark, CNO Financial, FBL Financial, Aflac and American Equity have a preference for longer-maturing investments -- their allocation is tilted against shorter-maturing investments. Conversely, companies like National Western, Primerica, StanCorp, Symetra, Kansas City Life and Principal Financial are pursuing the opposite strategy.